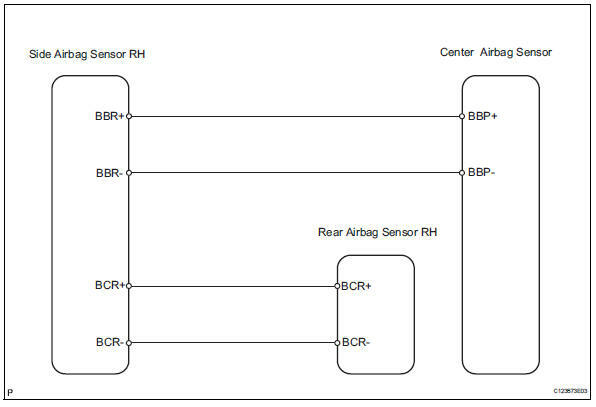 The rear airbag sensor rh consists of parts including the diagnostic circuit and the lateral deceleration sensor. 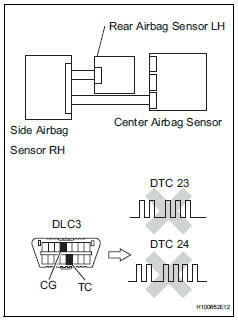 Dtc b1635/24 is recorded when a malfunction is detected in the rear airbag sensor rh circuit. Dtcs other than dtc b1630/23 and b1635/24 may be output at this time, but they are not related to this check.